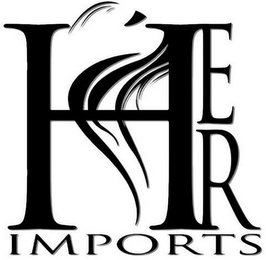 Indianapolis, Indiana – Her Imports f/k/a EZJR, Inc. sued in the Southern District of Indiana alleging trademark infringement, trademark dilution and trade dress infringement. 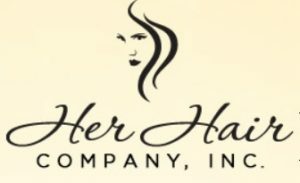 The lawsuit names Her Hair, Inc., an Indianapolis hair-extension merchant, as Defendant. Plaintiff markets and sells wigs, hairpieces and hair accessories. 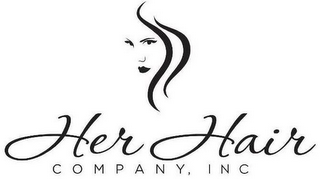 It claims ownership of two trademarks, U.S. Trademark Registration Nos. 4,631,694 for the word mark “HER IMPORTS” and 5,048,646 for “HER IMPORTS” and design. Both trademarks have been registered with the U.S. Patent and Trademark Office. Plaintiff contends that Defendant designed and used a similar mark, asserting that it was intentionally crafted “for the sole purposes of imitating Plaintiff’s Trademark, causing actual confusion among the general public, and attempting to pass itself off as being associated with the Her Imports brand.” Plaintiff further states that Defendant’s trademark has caused actual customer confusion. Defendant’s mark was registered by the U.S. Patent and Trademark Office under Reg. No. 5,144,514. Plaintiff further accuses Defendant of copying its “unique store interior trade dress,” comprising black and white Damask wallpaper along with red trim, in Defendant’s store. Plaintiff seeks, inter alia, injunctive relief, the cancellation of Defendant’s trademark, damages, attorneys’ fees and costs. The case was assigned to District Judge William T. Lawrence and Magistrate Judge Denise K. LaRue in the Southern District and assigned Case No. 1:17-cv-01148-WTL-DKL.